The 2017 Dodge Journey produces some unique qualities that might surprise you. If you haven’t had a chance to look over the specs of the 2017 Dodge Journey, you might be missing out. That in mind, we’ve constructed this blog to give our viewers some insight into one of Dodge’s most fascinating vehicle. The title: “Dodge Journey – Take the Journey” pretty much sums up how versatile the Dodge Journey has become over the years. For starters, the all new 2017 Dodge Journey is a sizable car that has up to 67 cubic feet of storage. That’s a lot of storage. Knowing how big this vehicle is, you would think that the miles per gallon would be low. However, that is not the case, the 2017 Dodge Journey gets up to 25 mpg on the highway and up to 500 miles in one tank. Pretty impressive. The 2017 Dodge Journey isn’t just about performance. Aside from being very maneuverable and adaptive to its surroundings, the 2017 Dodge Journey can also be very tech savvy. Available 8.4 Navigation Radio can allow you to stay up-to-the-minute with the information you need during any road trip. Featuring an 8.4-inch touchscreen, this system includes SiriusXM traffic and SiriusXM Travel Link, both with a five-year trial. Traffic provides real-time traffic updates. Travel Link includes live weather updates, movie showtimes, sports scores, gas station locations and pricing. Back to the navigation, it has an available award-winning Garmin GPS Navigation system. The Junction View feature realistically displays 3-D road signs and intersections along your route. Combine the 8.4 Navigation Radio with an available premium sound group that includes six Infinity speakers, a 368-watt amplifier and one subwoofer, proving incredible sound reproduction. Two 3.5-inch speakers located in the instrument panel. Two 6×9-inch speakers in the front doors. Two 6×9-inch speakers in the rear area. Furthermore, Dodge Journey offers an available Rear Seat Video Group I to help keep your passengers entertained. They can watch movies or play video games with a second row 9-inch screen that flips down from the overhead console. Lastly, you can customize your instrument cluster display. The premium 3.5-inch customizable Driver Information Digital Cluster Display delivers real-time information on performance, available navigation and vehicle status. All the performance combined with copious exterior and interior amenities, it’s a no brainer that the 2017 Dodge Journey is the perfect vehicle for your next journey in life. For more information on the 2017 Dodge Journey, we have an excellent team of product specialists on standby ready to answer all of your questions. 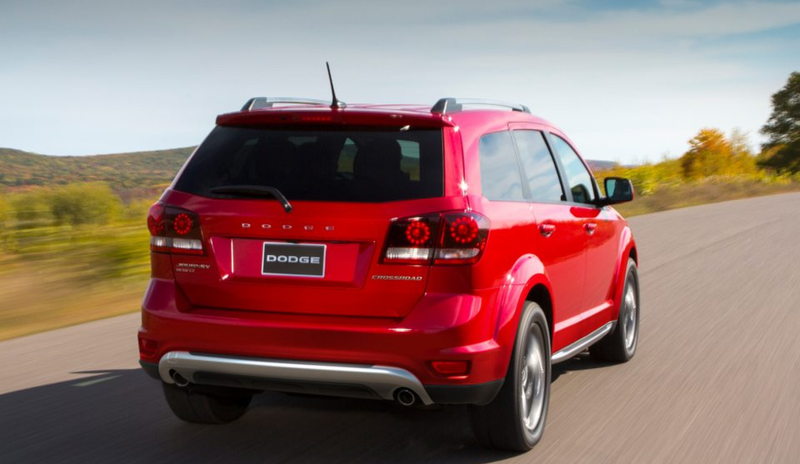 Visit our website for more Dodge Journey options currently available at Sorg Dodge. Already have a Dodge Journey? Feel free to reach out to us for more information or service needs. We would be happy to assist. Thank all of you for your continued support. We look forward to speaking with you in the near future.